If your VC Database reaches 4GB, the VMware Virtual Centre Server service will stop. A restart of it will result in the service stopping again within a minute. You will also see see this event logged. 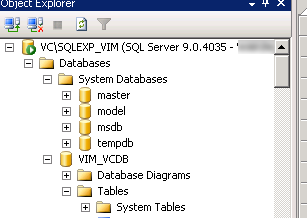 Could not allocate space for object ‘dbo.VPX_HOST_VM_CONFIG_OPTION’.’PK_VPX_HOST_VM_CONFIG_OPTION’ in database ‘VIM_VCDB’ because the ‘PRIMARY’ filegroup is full. Create disk space by deleting unneeded files, dropping objects in the filegroup, adding additional files to the filegroup, or setting autogrowth on for existing files in the file group. 1. 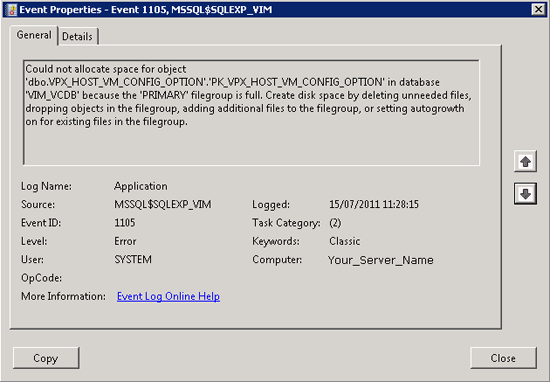 Download and install the Microsft SQL Server Management Studio Express. 2. 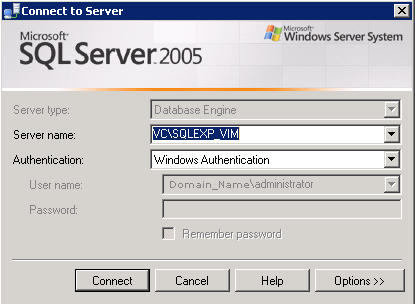 Connect to ServernameSQLEXP_VIM and login with Windows Authentication. 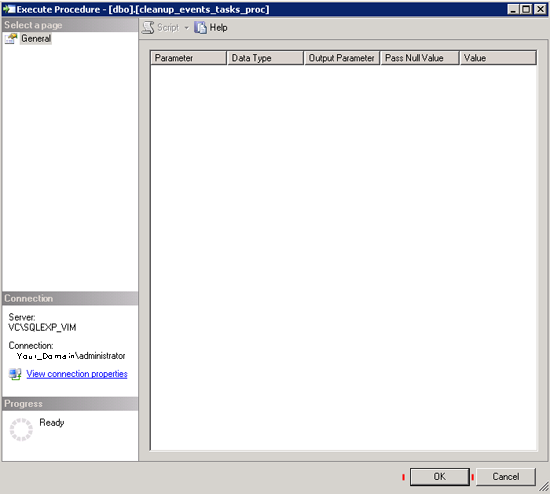 Modify task.maxAgeEnabled to a value of true. 5. 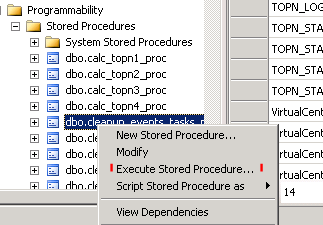 Then run the built in stored procedure: from the VCDB > Programmability > Stored Procedures. 6. 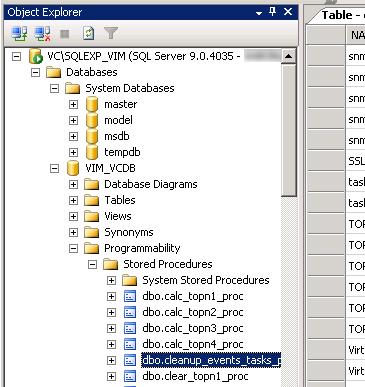 Right Click dbo.cleanup_events_tasks_proc and click “Execute Stored Procedure”. 7. 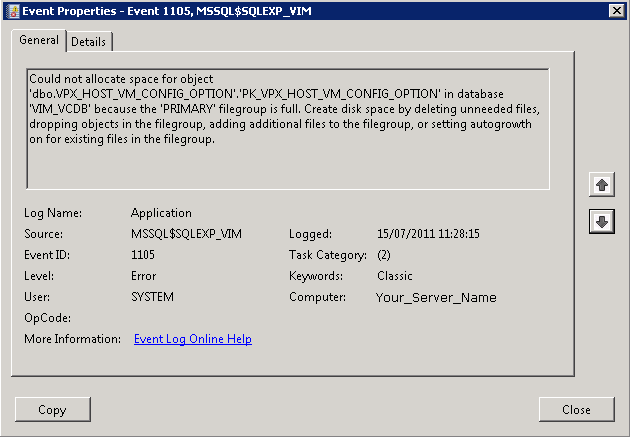 This will purge the data from tables: vpx_event, vpx_event_arg and vpx_task based on the date specified for maxAge. Then start the VMware Virtual Centre Server service.